We all have one, that ONE stinking string of holiday lights that only blink on momentarily when we shake it against the hard floor thinking that if we do it hard enough we’ll be able to shake it on for good. Or maybe you have the set that only half lights up when plugged in, then when you go to unplug the piece of rubbish that it is, it all lights like a bad joke. 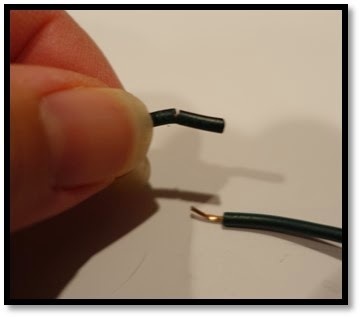 Well, do me a favor, before you ball up that string and toss it in the garbage, check out how to make some fun circuits that you can challenge kids to make at any age. 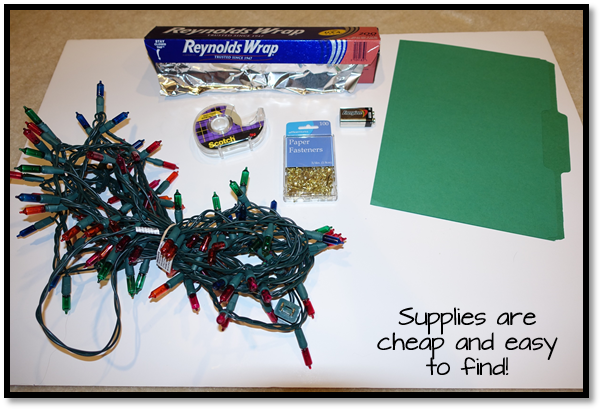 To begin, you will need to get the following supplies: file folder (or something to attach it to – I’ll explain why I use a file folder in a sec), tape, aluminum foil, brass fasteners, scissors, 9-volt battery and that darn string of holiday lights. 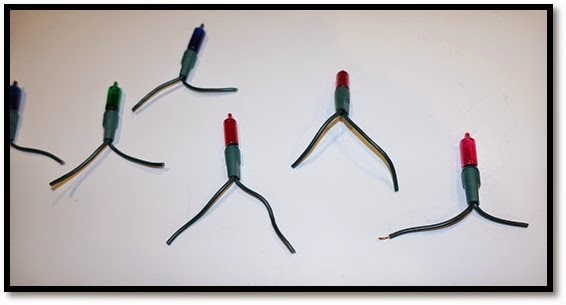 To prepare the lights, you will need to cut the string apart and score the bottom of each light with scissors – just enough to remove the plastic coating. At first this will be time consuming, but you will be able to use these lights for years if using them in the classroom. Depending on the grade level of the students, you can have them build a very simple circuit or a very complex circuit with both series and parallel circuits combined. For my students I have them use file folders in order to design and build a series on one side, then a parallel on the other with certain parameters for the switches. The students have an amazing time and there is always 100% participation and together we saved those lights from a trip to the landfill!